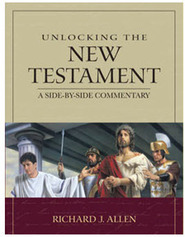 Enlighten your study of the New Testament! 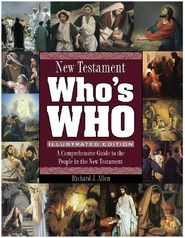 Bestselling author John Bytheway's fascination with the parables of Jesus Christ grew deeper after his first visit to the Holy Land, where he “beheld in high definition the backdrop for the life and teachings of the Savior.” In this insightful volume, he discusses what he has learned about more than thirty parables, sharing cultural background and other information about them and offering ideas for how we can apply them today. Throughout, visual images clarify and enrich the discussion. Beginners and seasoned students alike will enjoy this lively and practical treatment of the Savior's parables. I LOVE this book, and have learned so much. It has helped me gain new insights into the parables that I had never thought of before. I've especially appreciated sharing these insights in Gospel Doctrine class as we study the parables together. This is a great book, and Brother Bytheway's writing and organization of the book make it a great reference. 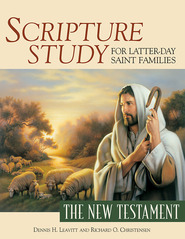 An excellent supplement to scripture study! I found this book to be very helpful as a supplement to scripture study. Each chapter introduces a new parable, and begins with the parable's scriptural reference. What I found to be most interesting was the cultural background of each parable that explained the historical significance. For example, in The Parable of the Sower, Bytheway explains the different methods of sowing seeds that were used when the Savior preached the gospel, helping the reader to better understand the symbolism in the parable. Bytheway also offers helpful insight on how the parables can be applied today. I highly recommend this book to anyone who desires to have a more clear understanding and interpretation of the parables of Jesus Christ. I love John Bytheway's approach to teaching the gospel. All of his books/talks seem to really resonate with me on a level where I can understand. I received this book for my birthday and it highlights the parables in sound and profound way to ease the study of the parables of the Savior. This book is great very informative and easy to read! I have a hard time staying focused and this book was really easy!!! learned a lot and loved it!!!! Doctrinally correct, insightful and well-organized. 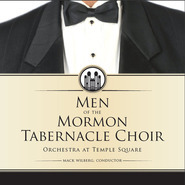 This book is a must-have as you ponder the Savior's teachings through parables. I sincerely appreciate the author's talent for simultaneously simplifying gospel topics while going deeper into them. I started reading this book yesterday ... I'm loving it! I just got this book and have read only a couple of chapters but it is very straight forward and easy to understand. Just like the front of the book says "A Fresh Look at the Parables of Jesus." It is a great book for new converts, like myself. Highly recommended!